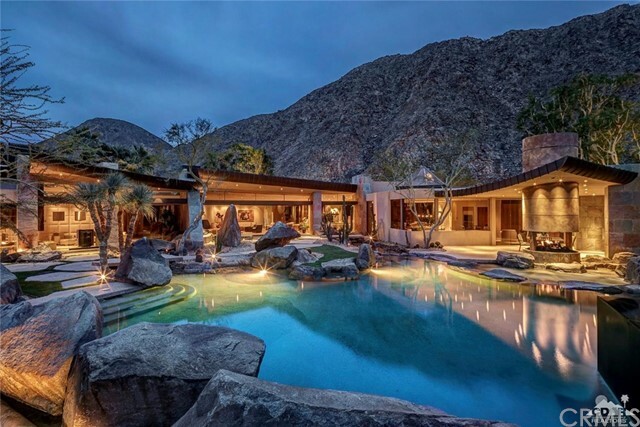 All Indian Wells homes currently listed for sale in Indian Wells as of 04/18/2019 are shown below. You can change the search criteria at any time by pressing the 'Change Search' button below. "The owners, driven by meticulous attention to every detail, retained and orchestrated the nation's finest team by combining the artistry and architecture of Thomas Jakway, the pageantry of design of Thomas Allardyce (Hendrix Allardyce Design) and the quality of precision construction of Gerry Langlois and his hand-selected craftsmen that culminated into this Mediterranean style home that artfully melds with its picturesque surroundings. The main level of the residence is complimented by a lower "
"Architecture by John Sampieri & interior design by Lezlie Trujillo came together to produce this stunning custom retreat. Situated on a nearly 1 acre estate lot, panoramic mountain views are captured from both dramatic & cozy living areas. The design elements are exceptional as you step through the double glass door entry into the circular great room, surrounded by walls of French doors & windows. Lobmeyr chandeliers are the focal point from the 22 ft high ceiling in the LR, as well as the nearb"
"Internationally acclaimed architect responsible for the Bellagio Hotel in Las Veges, Jon Jerde has designed 3 private residences in America. The most notable of which is this Contemporary estate located on one of the world's best private golf courses and communities; The Vintage Country Club. The home is situated over the picturesque 16th hole at the Vintage Club and enjoys sprawling grounds accompanied by resort like pool and outdoor entertainment space. With floor to ceiling windows and expans"
"Known worldwide for his visionary commercial architecture, including the Bellagio Hotel, Jon Jerde has also designed three private homes. The exclusive Vintage Club is the location of one of those residential inspirations. Jerde, along with his wife, Janice Ambry Jerde, executed this incomparable architectural achievement overlooking the picturesque signature 16th Hole of the Mountain Course. Joining the Jerde team was White Design of Pacific Palisades. Their mission was to complement the Jerdes"
"Open House by advanced RSVP only... Inside the private gates at the Vintage Club. Contact listing agent directly for Open House or private showing. Your Private Sanctuary in the world renowned Vintage Club. Designed by the foremost minds of luxury, architecture and design, providing an expansive setting both for entertaining and relaxing. 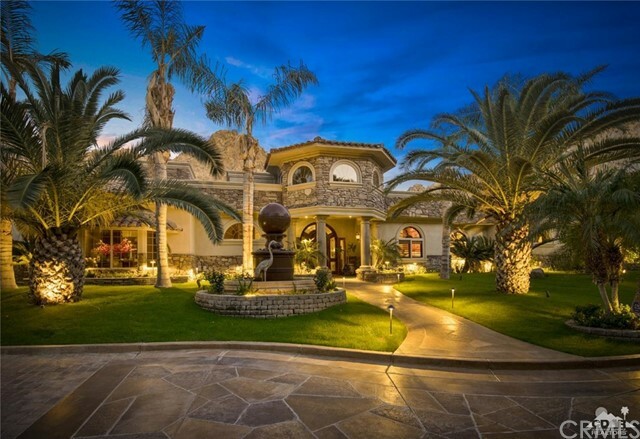 This masterpiece home includes both a main house with 5 bedroom suites, a high-end elaborate kitchen, huge formal living and dining rooms, multi-car garage and"
"DAR SAHRA'' A palatial milieu sits along the Gold Coast of The Vintage Club. Once in a lifetime a person comes across a home that is the most fabulous and unique piece of art and structural design. It is here at The Vintage Club in Indian Wells. 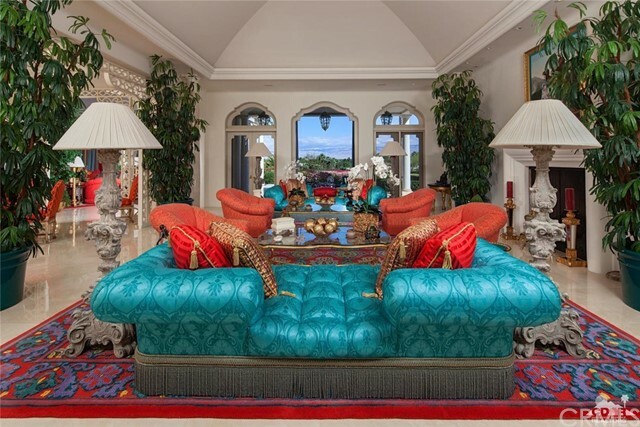 This exciting and exquisite mansion that took three and a half years to build by Gerry Langlois Construction under the watchful eye of Beverly Hills architect, Bob Ray Offenhauser and decorator, John Cottrell. Through the years of purchasing furnishings "
"A new Modern Mid-Century home has arrived at The Vintage! Completing in April, 2018 this architecturally stunning home graces the golf course and landscape within this exclusive community. Designed by architect, Kristi Hanson, with living space of 8,414SF, it features dramatic, soaring rooflines. It is set on an elevated, expansive 30,429SF lot boasting nearly 200' of fairway frontage that provides exceptional, panoramic mountain and golf course views. 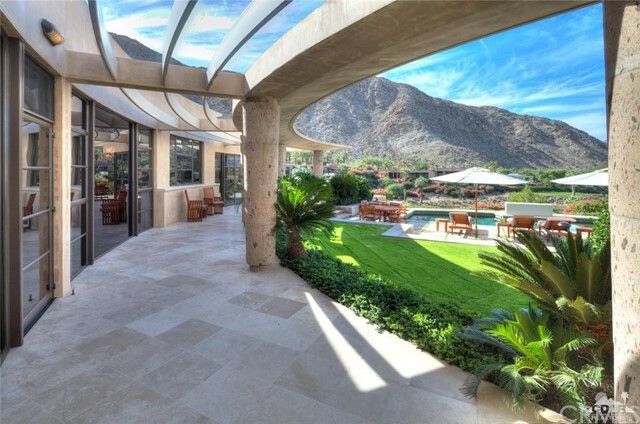 Once inside the gated entry, you will find "
"A contemporary jewel at the exclusive Reserve Club in Indian Wells. Architectural design by Kristi Hanson, this home is spectacular with mahogany ceilings, custom wood doors, exercise room, golf simulator, private fully self contained three bedroom guesthouse with three bathrooms, kitchen and laundry over looking the pool, indoor-outdoor living with massive custom glass doors. Home is being sold fully furnished, with furnishings by Blackbird Interiors. Artwork and sculptures are excluded. Tucked"
"Located on one of The Vintage Club's premier home sites offers compelling views of the best hole in the desert, Number 16 on the Mountain Course. Its views also include the Par 3, Number #17 and down valley toward the Palm Springs windmills and the surrounding San Jacinto Mountains. The home's transitional contemporary styling allows for personalization within to create an environment of elegance to suit any homeowner from mid-century classic. This unique lot allows for picture perfect views fro"
"Spectacular estate by renowned architect Guy Drier at prestigious Vintage Club! Four bedroom, four and a half baths approx. 9,840 sq. ft. on .90 acre lot. Features signature entry to stunning foyer incorporating a brilliant use of natural rock, slate and metal, combined with glass, stone and granite throughout! Great room with fireplace and long beautiful granite bar. Gourmet kitchen with center island/counter bar and family room with billiard area and formal dining. Master retreat with fireplac"
"This private & grand estate is one of the finest properties in Eldorado Country Club. Expansive and immaculately built home with the majestic Cove Mountains in the background. The finest custom finishes create a Parisian Chateau with grand entrance and hand painted Marquee. Warm and inviting living room with an ornate ceiling, antique oak flooring and fireplace imported from Paris. 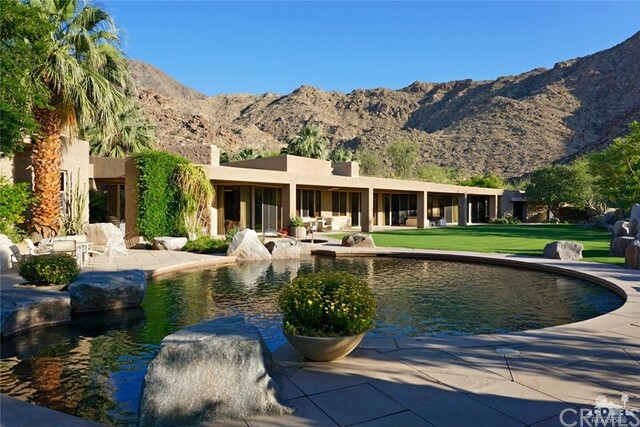 Dramatic views of the expansive garden and mountains. Intimate Formal dining room with walls of fabric. Fully equip"
"Definitely one of the nicest homes at Toscana CC, on one of the very best custom lots! This Old World designed Custom Home offers quality from start to finish! Located on the 12th Fairway of the South Course with dramatic SW Mountain views of 4 fairways, 3 greens and the lake! This home consists of 4 bedrooms w/ensuite baths, office, exercise room, & 2 powder rooms. There is a Casita with 2 Beds/2baths & Living Room off of the entry courtyard with fireplace & fountain. 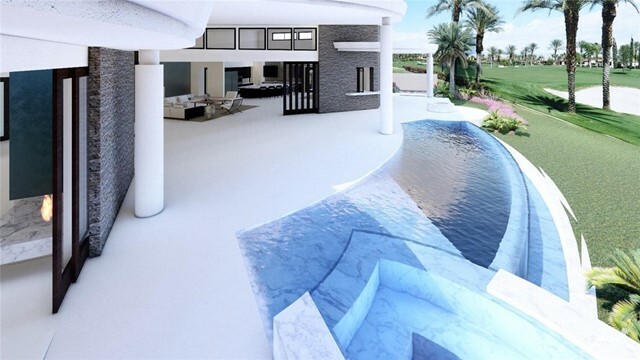 Interior features include "
"Under construction - scheduled completion April 2019 Experience dramatic architectural lines of this stunning contemporary home in Toscana Country Club. This 5BD/5.5BA, 7,272 SQ FT home features expansive walls of glass throughout to enjoy indoor/outdoor living spaces that flow together seamlessly. Local Interior Designer Jeanette Christian maximizes the space in the living area and compliments the modern architecture of the home with the latest contemporary fits and finishes throughout. Overloo"
"This impeccably designed custom estate in the prestigious Toscana County Club is located on the highly desirable street of Via Siena. South facing with stunning mountain and double fairway views the home is truly breathtaking. Stone flooring and soaring wood-beamed ceilings provide a grand luxurious openness. Multiple bi-fold doors flow to the outside living spaces, pool and al-fresco dining area creating a perfect blend of indoor-outdoor desert living. The chef's kitchen features high-end appli"
"This spectacular and rare opportunity within The Vintage Club allows you to embrace this home of style and grace that offers phenomenal elevated vistas of the Club's signature 16th Hole of the Mountain Course. An architectural masterpiece, by renown architect Von M. White, with spacious interiors of approximately 9,461 SF. The home sits upon a private elevated lot of nearly 23,958 SF overlooking multiple picturesque fairways featuring manicured bunkers, curving sand traps and meandering waterway"
"Blending warm tones with a modern touch, this fabulous Custom Estate Home is nestled in the heart of Toscana Country Club. The welcoming courtyard offers a relaxing entrance featuring a tranquil pond with water feature. Soaring ceilings, a dramatic double-sided stone fireplace, home theater, and expansive disappearing sliders create a stunning environment for seamless indoor and outdoor entertaining. 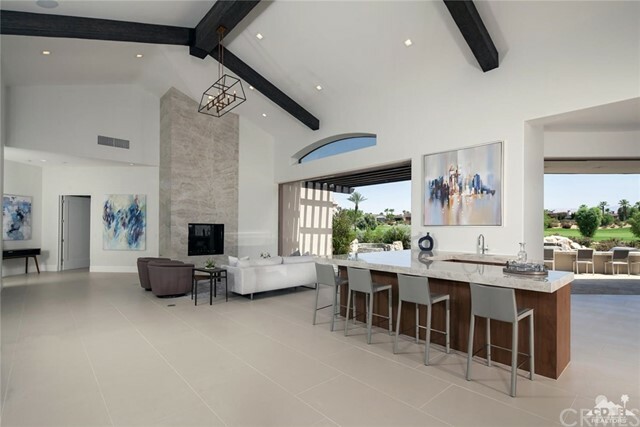 The gourmet spacious kitchen is a home chef's dream with Wolf and Sub-Zero appliances, an oversi"
"This lovely custom home is nestled high into the Las Cascadas Cove and gracefully extends across a double lot of nearly 1.65 acres of natural desert terrain. Designed by Holden and Johnson Architects, the home's floor plan offers 6,089 SF of living space encompassing both the main residence and the detached 2 Bedroom Casita with Kitchenette. 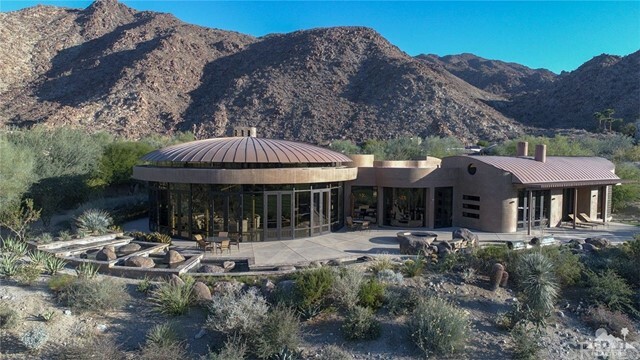 The curvature of the residence allows for an abundance of outdoor living space that opens to a lush glass greenbelt bordered by the desert's flora and fauna"
"This truly remarkable custom home exudes luxury and refinement. Spectacular unobstructed views towards the sculpted sand traps of the Desert Course's 3rd fairway and the nearby mountains are available from the home's sunny southern orientation. The voluminous interiors of nearly 7,234SF reveal an architectural design focused on comfortable sophistication. The floor plan includes a sumptuous master retreat w/ gym and lavish bath that includes two separate vanities, two water-closets and large wal"
"The breathtaking emerald green fairways of the Club's Desert Course gave rise to the inspiration of the owner, architect & design team that brought this gemstone to fruition. Enchanting views of the 3rd Fairway are enjoyed from both the home and its south-facing outdoor living environment. Nature's canvas frames the dramatic swimming pool w/ spa that is set amid the sunny patios & their landscaped surroundings. 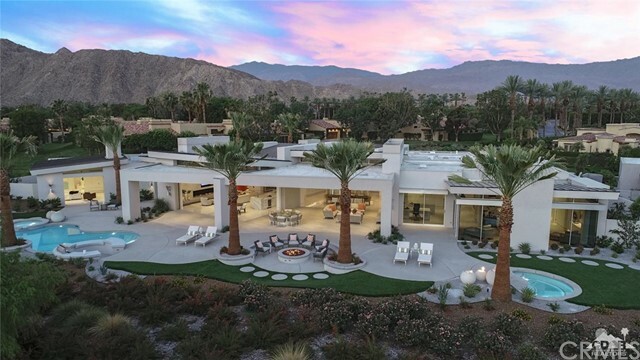 Boasting a transitional contemporary architectural design by Holden & Johnson Archite"
"This distinctive south-facing residence gleams like a rare jewel amidst the emerald green fairways of the Desert Course and is bordered by the amethyst hued mountains beyond. 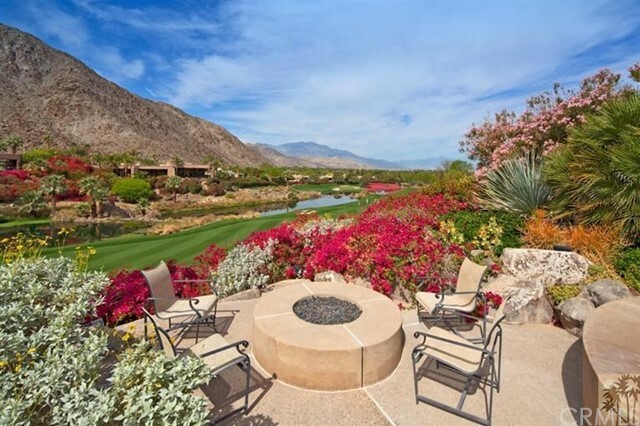 Captivating views of the 3rd Fairway of the Desert Course are enjoyed from both the home and its outdoor living environment featuring a deep swimming pool, separate spa with fireplace and an outdoor living room. 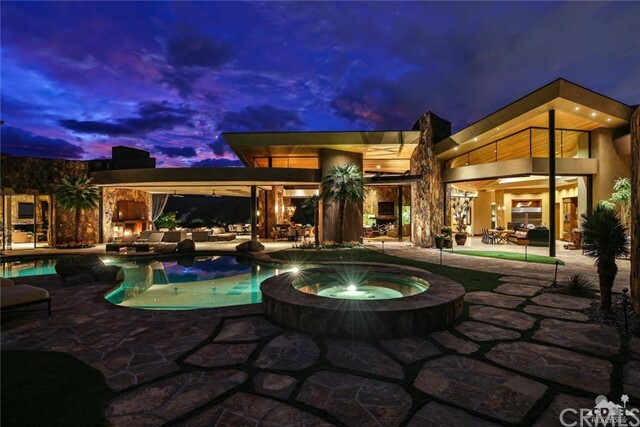 Displaying unique architectural design by the legendary Arizona architect, Bill Tull, this nearly 6,838 square fo"
"This home is situated within the secured gates of The Vintage Club. A member owned and operated country club community designed to meet exclusively the needs of its residents. Fine dining, superb golf, tennis, fitness, spa facilities, quality housing, and an active social scene is the foundation that perpetuates this Club's undeniable success. Featuring mid-century design elements by architect, Frank Urrutia, the home was reimagined by architect Jim McIntosh for the current owners. The architect"
"We welcome you to this truly impressive residence intended to create a living environment that meets the desires of owner and guest alike. Every aspect of the structural and architectural brilliance found within this residence elevates the standards of excellence The Vintage Club has come to represent. The ambience of this home is manifested in its design from its grape-stake ceiling details, Vantage lighting system, both limestone and oak-plank flooring, surround sound system, Canterra stone ac"
"Custom estate compound behind the gates of prestigious Monte Sereno Estates! Four bedrooms, four and a half baths including separate one bedroom casita. Approx. 6,000 sq. ft. of pure luxury on one acre lot! Gorgeous Tuscan style home featuring elegant foyer entry, great room with fireplace and dining. Custom home theatre, gourmet kitchen with center island, double counter bars and stainless appliances. Luxurious master suite with fireplace and lavish bath. Loggia with built-in BBQ kitchen and me"
"Just finished - a completely remodeled and fabulous Custom Estate Home in beautiful Toscana Country Club! Soaring ceilings with wood beams, a dramatic stone fireplace, wet bar, separate living and family room, along with 3 expansive disappearing sliders, create a stunning environment ideal for seamless indoor and outdoor entertaining, Sleek and modern, the new open design features beautiful finishes in cool tones complete with new custom furnishings included. The gourmet kitchen is spacious with"